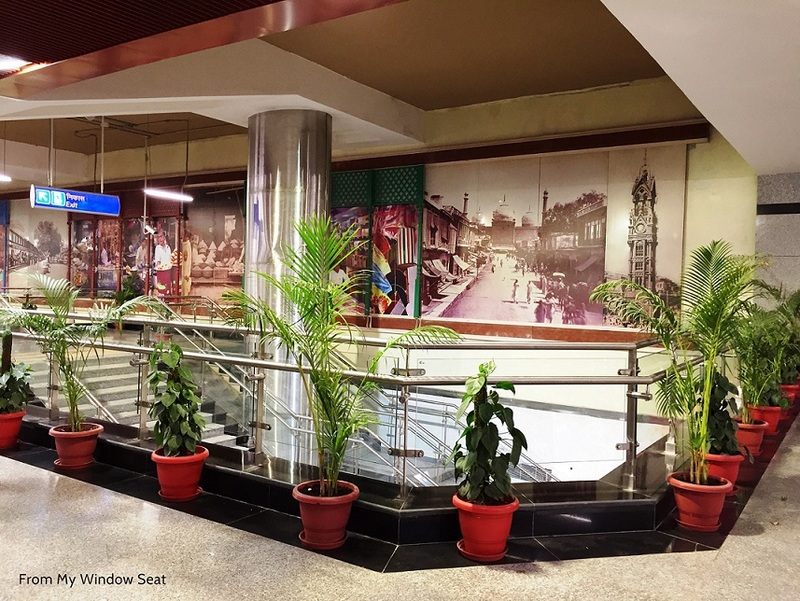 With vintage photos of Old Delhi juxtaposed against swanky steel and granite interiors, the stations on the recently inaugurated Delhi Metro Heritage Line rate high on aesthetics. These stations, all underground, are designed in accordance with the heritage of the area and showcase the surrounding precinct’s striking history. 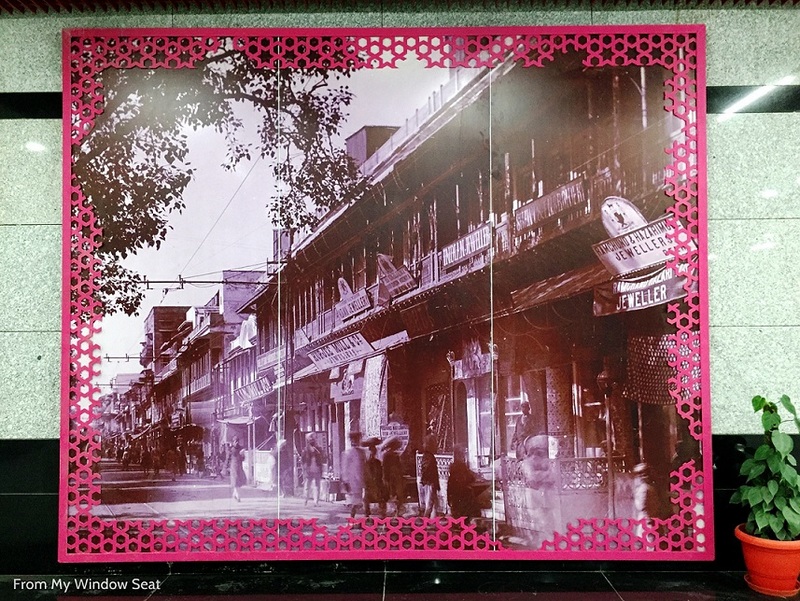 An extension of the Violet Line (ITO-Escorts Mujeser), the Delhi Metro Heritage Line comprises four stations – Delhi Gate, Jama Masjid, Lal Quila, and Kashmere Gate. 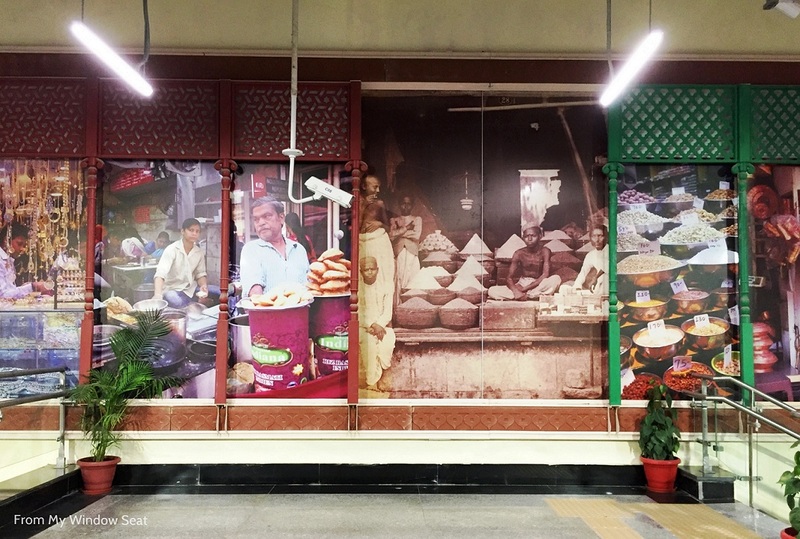 The line traverses the breadth of Old Delhi, making it easier to access heritage delights tucked inside the narrow lanes of the densely populated Walled City. All four metro stations on the heritage line have borrowed accents and design elements from the monuments they are named after. 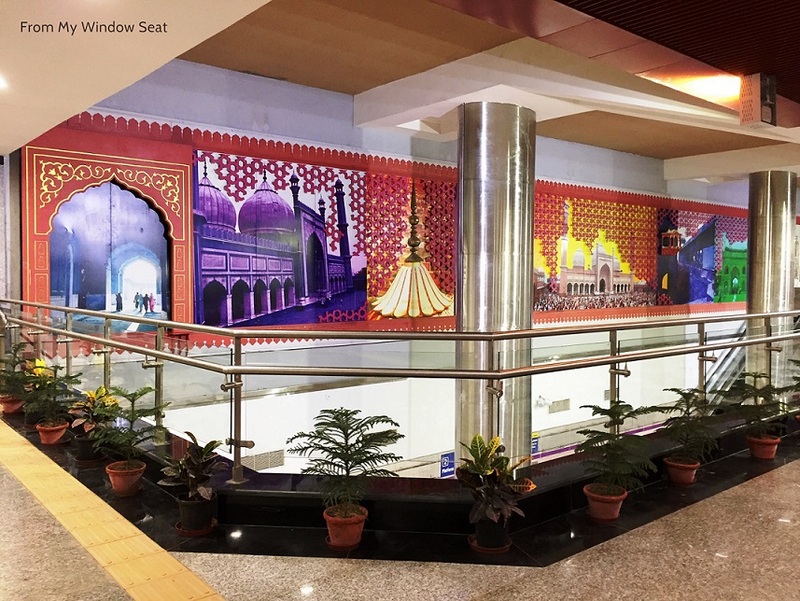 So while Delhi Gate station is adorned with panels that depict the history of Delhi Gate, the interiors of Jama Masjid station is accented with art installations depicting photos of Jama Masjid, Sri Digambar Jain Lal Temple, and St Stephen’s church. In similar fashion, the facade of Lal Quila station resembles Red Fort and is done up in red sandstone. 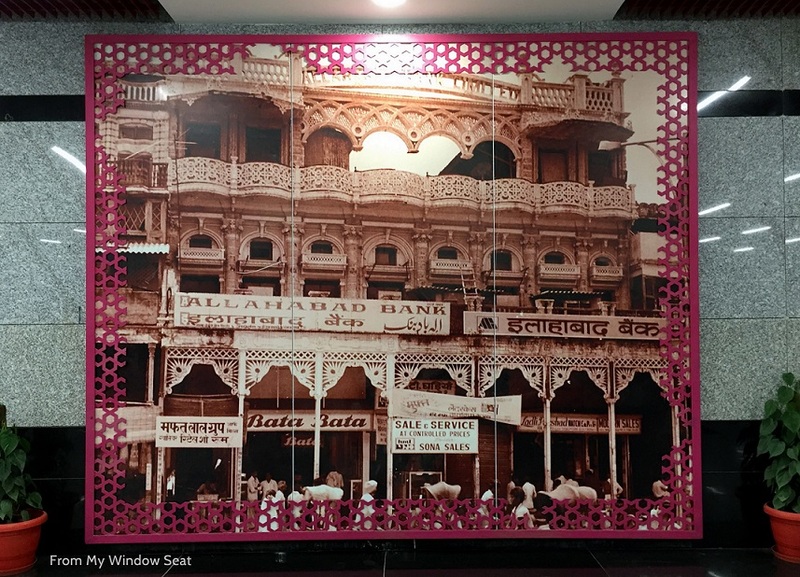 The interior of the station is decked up with old and new photos of various parts of Red Fort. 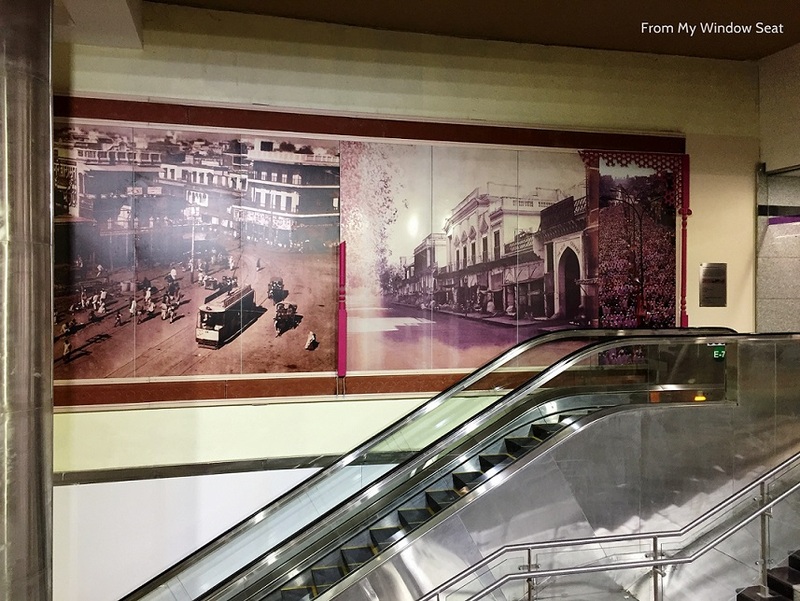 Kashmere Gate station offers a rare glimpse into Delhi during and after 1857 as it puts on display some iconic photographs, like the gate being blown down by the British, and the interiors of the St. James church. 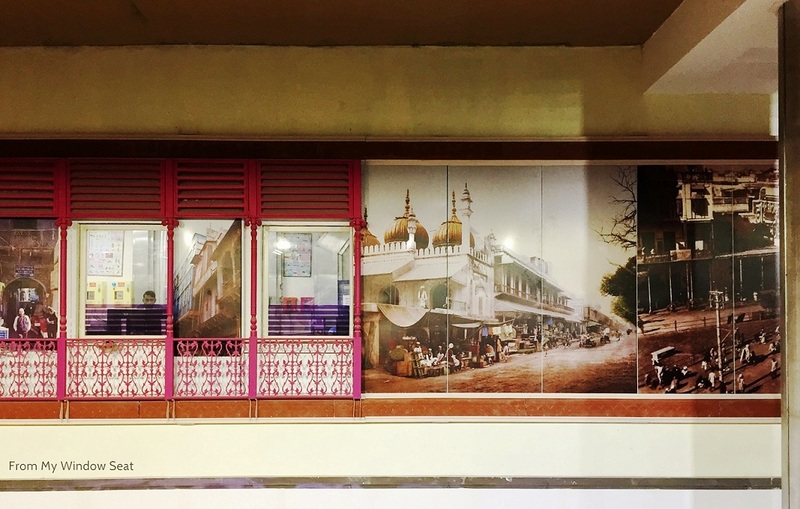 These art installations that dot the stations along the Heritage Line have been conceptualised by Indian National Trust for Art and Cultural Heritage (INTACH). While some of these installations are pretty striking, there are a few that are mundane and only seem to be covering up wall space. 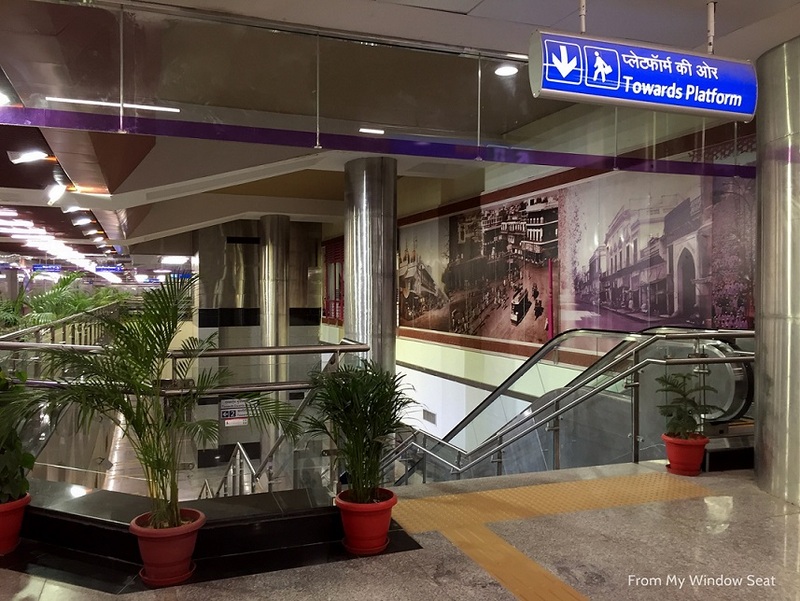 The DMRC has installed what it calls ‘Dream Gates’ in two stations of the Heritage Line. 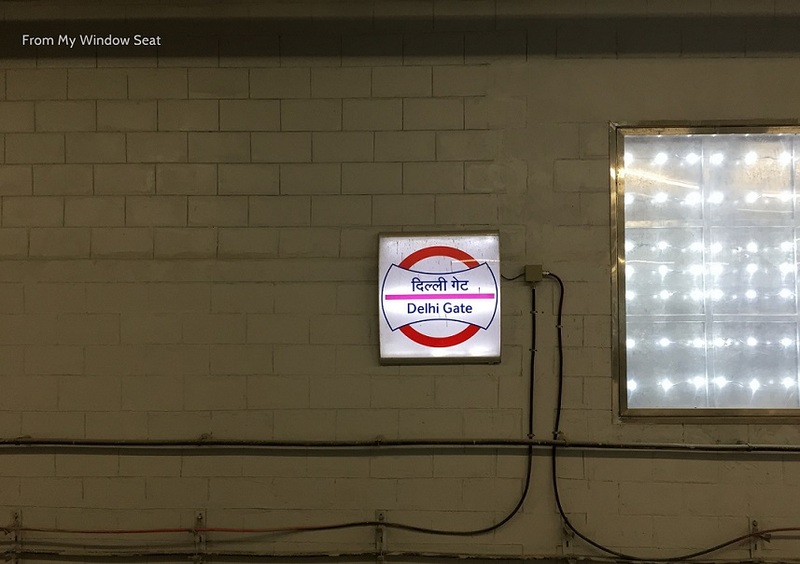 Though I did not get to see these gates, I’ve read that these Dream Gates (Automatic Fare Collection gates) installed at Lal Quila and Jama Masjid stations allow commuters to buy tickets via Paytm and scan a QR code to enter and exit the stations. However, wonder how convenient that is going to be during rush hours when there are long queues jostling to enter and exit the stations. I boarded the heritage line at Mandi House and went all the way to the last station on this line, Kashmere Gate. More photos from the ride will be featured in the next post. Hope you will stay tuned. 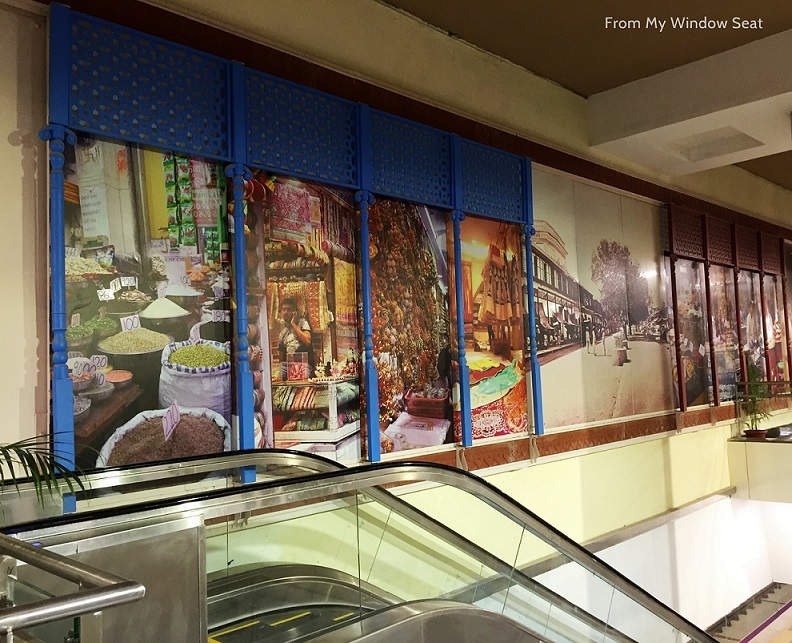 In the meanwhile, if you have travelled on the Delhi Metro Heritage line, I would love to hear about your experience. Do share please, thank you. 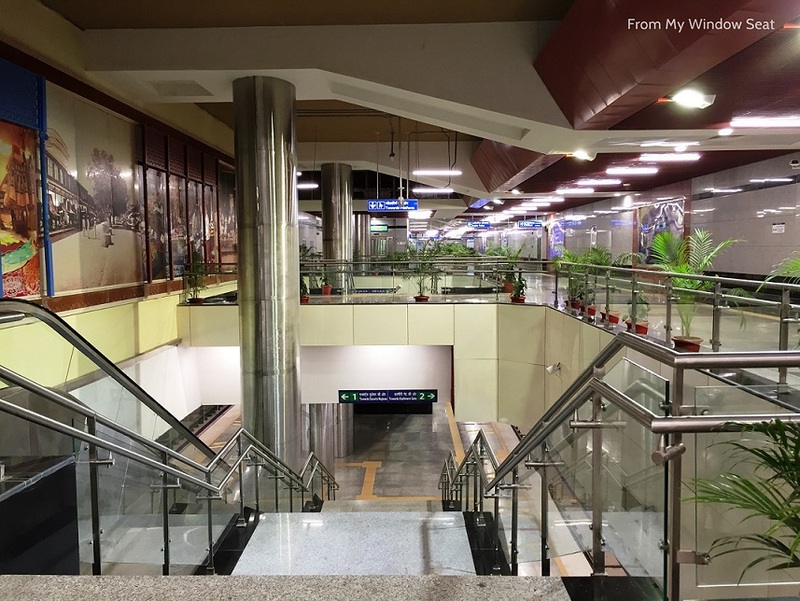 A wonderful tribute to Delhi Metro. The Metro is a marvel of human achievement. Thank you Matheikal sir. Indeed the kind of technical finesse that has gone into setting up the metro network in Old Delhi is mind boggling. The precision with which the tracks have been laid out so near the heritage corridor is awe inspiring. Thanks, Antarik. Also, do connect when you are in Delhi next, would love to catch up. This is definitely drive that is a worth for heritage lovers. 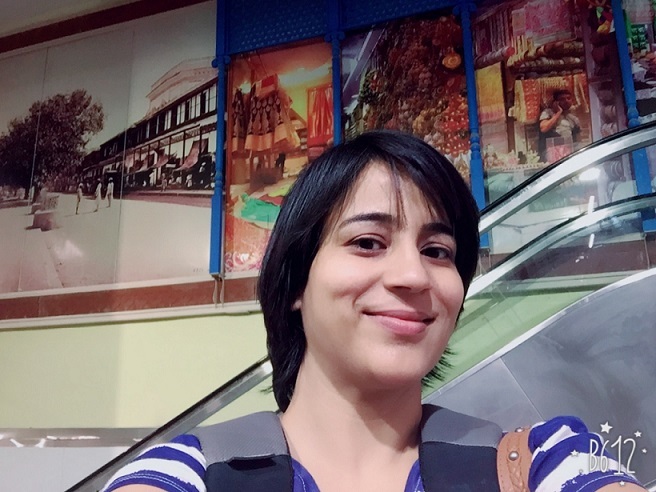 Mandi house to Kashmiri gate started ? I was not aware of it. Nice pictures and love places like this with it own creation / cultural / heritage. Thins looks very interesting. Even a metro can be colorful and full of art!